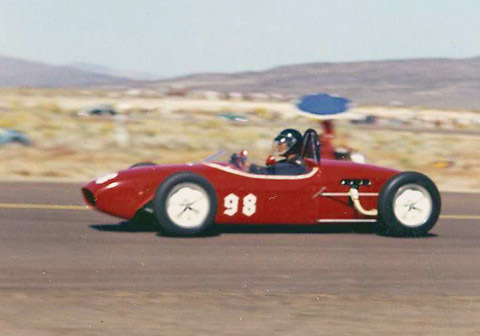 was a top Formula Junior driver in 1961. 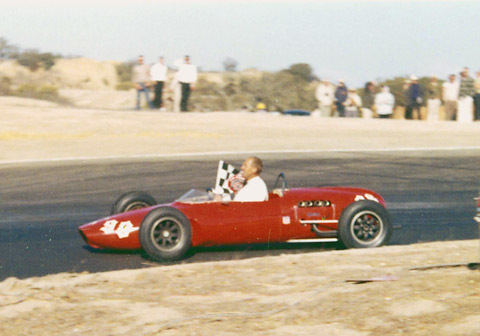 The Monterey Peninsula based driver campaigned a Lotus 18, then moved to a Gemini and won the pro F-Jr race at the L.A. Times sponsored Riverside GP on Oct. 15, 1961. He defeated top Eastern drivers such as Walt Hansgen and Roger Penske. He went on to great success with Carroll Shelby's Cobras. He won the SCCA National Class "A" Production championship in his black #98 Cobra. He's featured in James Garner's excellent 1969 film "The Racing Scene" , often shown on "Speedvision", where he drives a Lola T-70 coupe for Garner. Leslie catches and passes Dan Von Hermann's Porsche RS at Cotati in July. Leslie also drove a Triumph TR-4 and Austin Healeys in production class racing. One of Ed's Austin Healey rides was Joe Huffaker's car. Leslie on his victory lap in the Gemini at Laguna Seca, October 21, 1961. Leslie won the amateur F-Jr race but DNF'd in Sunday's pro event. Video! 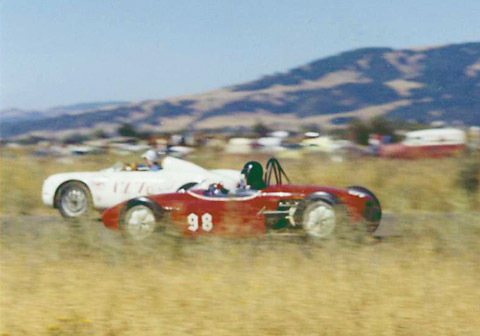 See Leslie in action in the Gemini at Laguna Seca in June, 1962.